Kenton's Infotainment Scan: Is Limbo the Casablanca of video games? Limbo: this could be the beginning of a higher monthly Xbox bill. 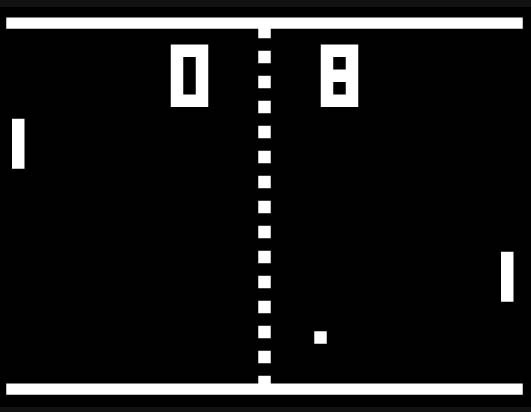 The video game of the future owes a little something to the Hollywood of yesteryear. The game is Limbo - available for download on Xbox Live Arcade. How interesting that at a time when Hollywood looks to 3D to get people back into movie theatres, Limbo looks to 2D and black and white to get them to stay at home. Achieving a 90 on Metacritic ("Universal Acclaim! 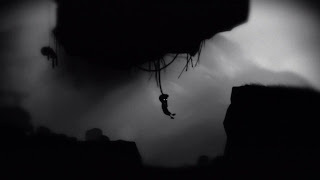 "), at it's heart, Limbo is a puzzle game in which you pilot the silhouette of a young boy through a grainy, foggy forest of booby traps and dead bodies in search of a missing sister. So far, so business as usual: foggy, puzzle, sister, blah blah. However, Limbo seems to have tapped into something deeper, so that it exists not only to operate as "a game," but also to make us think, contemplate, discuss, and feel, like we do with cinema and - gulp - art. What better way to answer Roger "video games can never be art" Ebert, or at least budge him toward finally seeing the light? But don't take it from me: I haven't actually played the game! "Limbo is a game some people will shortly be referring to as not just a great game but an accomplishment. The game is a joy to behold in every aspect. Limbo has a transportive quality that's hard to articulate. "It so expertly realizes both its internal gameplay logic and its prevailing aesthetic that it almost creates a sort of reverie as you play. The game is a masterpiece." "I keep coming back to Edvard Munch. I've always been fascinated with Munch, an artist most famous for painting The Scream. It's his other works, however, that tend to stick with me, particularly his Madonna. As a work of art, Munch presents the viewer with seemingly disparate imagery, at once both alluring and disquieting. It's dark, a little disturbing, and yet it's also engaging and beautiful. That's Limbo." "Limbo is as close to perfect at what it does as a game can get. It's artistic without being pompous, difficult without being cheap, and violent without being gratuitous. It gets everything just right, and while the adventure will only take dedicated players a few hours to beat, the memory of the game will remain for much, much longer, and many players won't stop at beating the game just once." "Limbo is genius. Freaky, weird genius. Disturbing, uncomfortable genius." What's cool about Limbo is that by placing the action in a black-and-white world, it imbues video games with a past that they never had; ever see game consoles from the 1940s for sale on eBay? Me neither. The first thing that occurred to me when I saw the online videos for the game is, "A black-and- white video game? Has that been done?" Of course it has, but not recently. That I know of. Atari Basketball - featuring two players: black and white! Each of these games is charming in its own way, but none would likely ever be uttered in the same breath as Casablanca. See? So, if this game is so great, why haven't I played it? Up until now, I've never bothered with Xbox Live. I'm a single-player, hide-in-the-shadows-and-kill-computer-generated-villains lone gunman, tried and true. But if this game is as great as everyone says it is, maybe it's time for me to bite the bullet and get my free "silver membership" to Xbox Live. Have you played Limbo? Is it worth the trouble figuring out how to plug my Ethernet cable into a connector on another floor? Or am I fooling myself into thinking that this game will do for me what Casablanca did for me? (Which is: provide me with a lifetime of catchphrases! Ha, ha!). Or would I be better off to figure out how to, say, knit or garden? Post your comments here, or send me an email if you prefer. In the spirit of online collaboration, I will do whatever my peeps tell me to do. Don't leave me in Limbo! Update: got an offer to see the game in action! Will report back if I ever stop playing the game. I've spent a few days playing it and I can honestly say it's one of the weirdest gaming experiences I've ever had. It's well worth the $15 or 1200 Microsoft Points to anyone who can appreciate the game for what it is. The experience is short (roughly 6 hours) but the visuals, imagination, and lack of story are really different to anything in the game world at this point. I hope lots of people buy it so more developers will take risks like this. Sounds awesome. Thanks for the advice!